Early Six: Had over 200 performance points, superior in trail. 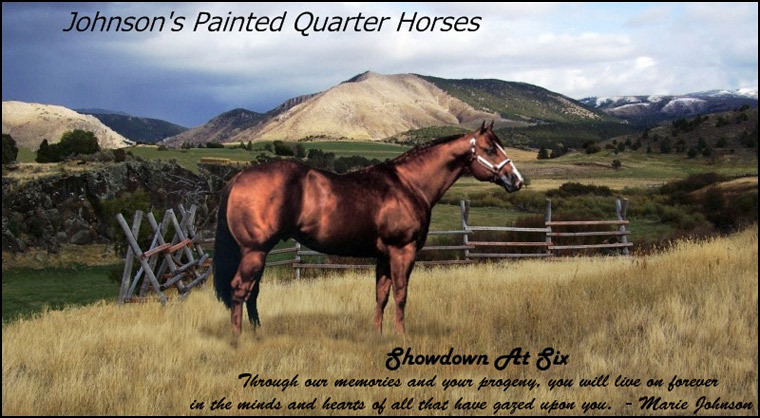 Showdown at One: Is an APHA Champion, superior in Western Pleasure, etc. 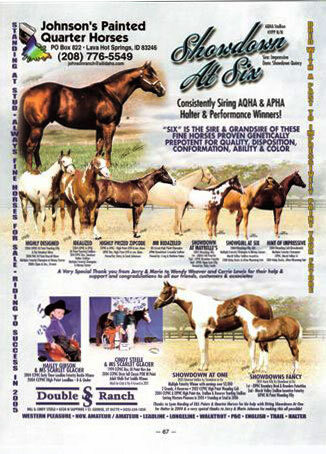 High Jack at Six: Also an APHA Champion, earned superiors and 176 points. Highly Designed: 50 halter points. Jazzed up Six: 25 Open Reining Points. Showdown's Classic: 48 Open Halter before injury. Halliluya DJ: 15.5 Halter Points. 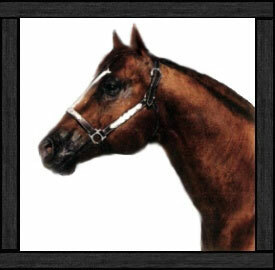 Impressive Escape DJ: 11.5 Halter Points, World Show Qualifying Yearling Stallion. 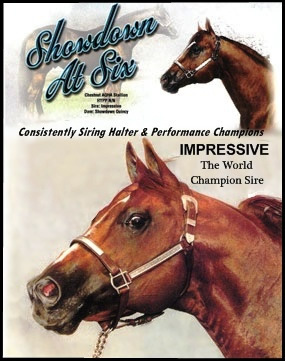 APHA #4 leading sire of World Champions an all-leading sire of AQHA Champions, siring earners of a combined 24,877 points.